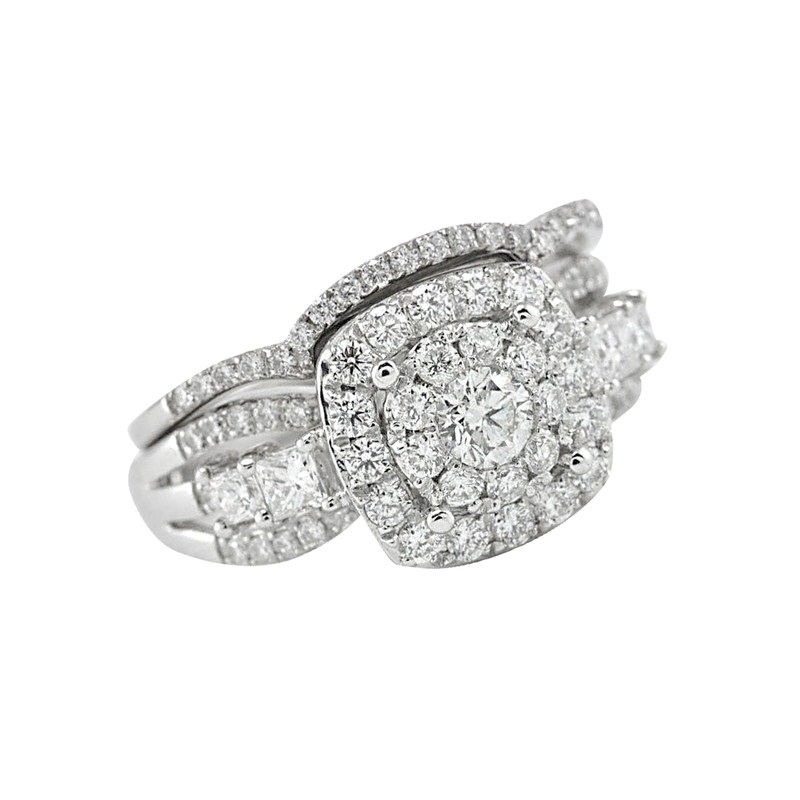 14 karat white gold diamond halo engagement ring and wedding band set. 1.01 total carat weight. I am requesting information for Engagement and Wedding Band Set.